Round neck jumper by FLUFFY EARS with long raglan sleeves. Cosy knitwear made of 4-ply premium cashmere with feel-good properties! 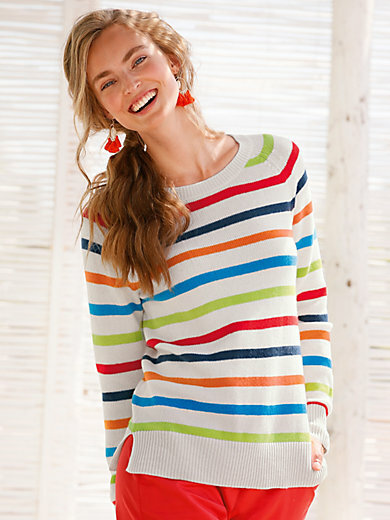 The cheery colourful striped pattern goes perfectly with a casual summer look. Straight style with ribbed cuffs and hem. 100% cashmere. Length approx. 24ins. The round neck jumper is machine washable.